At Jarosz & Valente Orthodontics, we believe everyone deserves to have a smile they truly feel proud to show off, and our mission is to help patients of all ages achieve one. As a leading orthodontist serving Arlington Heights, Deerfield, and the surrounding areas, we're proud to treat patients of all ages, and our Deerfield orthodontists work with patients individually to design personalized, comprehensive treatment plans that fit into any lifestyle. Whether you're simply looking to correct a few minor orthodontic problems or want to completely revitalize your smile, we're here to help! We're proud to be a team of experienced orthodontists in Deerfield and Arlington Heights – but exactly what is orthodontic treatment, anyway? Orthodontics refers to the science of the science of the alignment of the teeth, as well as the functionality of the bite, jaws, and mouth. Orthodontic treatment involves using specialized tools and techniques like braces, ClearCorrect, and other orthodontic appliances to move the teeth and fix imperfections in the smile. Put simply, our job as orthodontists in Arlington Heights is to use cutting-edge tools and technology to safely, permanently change the alignment of the teeth, creating a brand new smile that's both healthier and more beautiful. 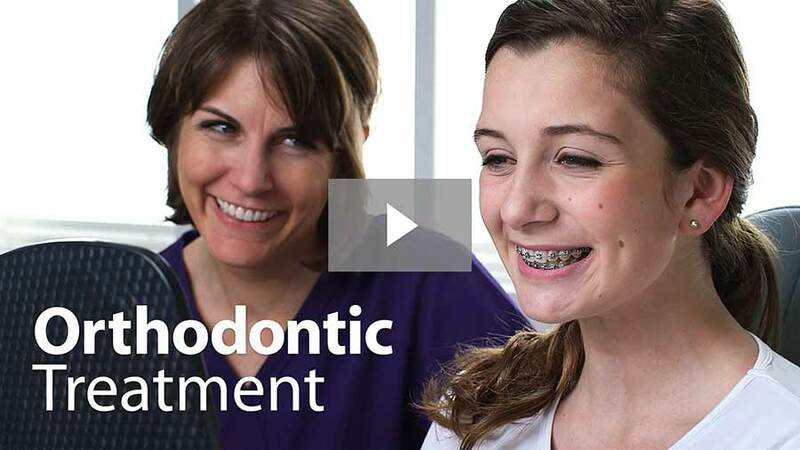 When most people think of orthodontic treatment, they imagine a teenager with a latticework of metal across their mouths – and while adolescence is the most common time for orthodontic treatment, we treat patients of all ages at our practice. In some cases, we'll use early orthodontic treatment to intervene during childhood and influence the growth and development of the jaws, preventing serious orthodontic conditions from forming later on and minimizing the necessary treatment. Additionally, more and more adults are discovering just how easy and how gratifying it is to achieve a beautiful new smile. More than a quarter of our patients are receiving adult orthodontic treatment! Orthodontic treatment is the key to achieving a gorgeous new smile and unlocking a whole new you, and if you're interested in learning more about how orthodontics can improve your smile, we'd love to help. Contact us today if you have more questions about the benefits of orthodontics, our practice, or the treatments we offer, or if you're ready to get started, simply request your consultation online. We can't wait to hear from you!